Microsoft Windows is one of the two most common OS and managing its security has spawned the discipline of IT security. Kali Linux is the premier platform for testing and maintaining Windows security. Kali is built on the Debian distribution of Linux and shares the legendary stability of that OS. This lets you focus on using the network penetration, password cracking, forensics tools and not the OS. This book has the most advanced tools and techniques to reproduce the methods used by sophisticated hackers to make you an expert in Kali Linux penetration testing. First, you are introduced to Kali's top ten tools and other useful reporting tools. Then, you will find your way around your target network and determine known vulnerabilities to be able to exploit a system remotely. Next, you will prove that the vulnerabilities you have found are real and exploitable. You will learn to use tools in seven categories of exploitation tools. Further, you perform web access exploits using tools like websploit and more. Security is only as strong as the weakest link in the chain. Passwords are often that weak link. Thus, you learn about password attacks that can be used in concert with other approaches to break into and own a network. Moreover, you come to terms with network sniffing, which helps you understand which users are using services you can exploit, and IP spoofing, which can be used to poison a system's DNS cache. Once you gain access to a machine or network, maintaining access is important. Thus, you not only learn penetrating in the machine you also learn Windows privilege’s escalations. With easy to follow step-by-step instructions and support images, you will be able to quickly pen test your system and network. Wolf Halton is a widely recognized authority on computer and internet security, an Amazon best selling author on computer security, and the CEO of Atlanta Cloud Technology. He specializes in business continuity, security engineering, open source consulting, marketing automation, virtualization and datacenter restructuring, and Linux evangelism. Wolf started hacking Windows in 1993 and loaded Linux for the first time in 2002. Wolf attributes whatever successes he has had to his darling bride, Helen, without whose tireless encouragement he would have never come so far so fast. To contact Wolf, e-mail him at wolf@atlantacloudtech.com. Bo Weaver is an old-school ponytailed geek who misses the old days of black screens and green text, when mice were only found under the subflooring and monitors only had eight colors. His first involvement with networks was in 1972, while working on an R&D project called ARPANET in the US Navy. Here, he also learned the power of Unix and how to "outsmart" the operating system. In the early days of BBS systems, he helped set up, secure, and maintain these systems in the South. He later worked with many in the industry to set up Internet providers and secured these environments. Bo has been working with and using Linux daily since the 1990s, and he is a promoter of open source (yes, Bo runs on Linux). He has also worked in physical security fields as a private investigator and in executive protection. Bo is now the senior penetration tester for Compliancepoint, an Atlanta-based security consulting company, where he works remotely from under a tree in the North Georgia mountains. Bo is Cherokee and works with Native American youth to help keep their traditions alive and strong. He is also the father of a geek son, Ross, a hacker in his own right, and the grandfather of two grandchildren, Rachel and Austin, who at their young age can Nmap a network. To contact Bo, e-mail him at bo@boweaver.com. Kada cete da prevedete knjigu? Konačko knjiga koja mi je potrebna. Nadam se da će se još neko javiti i da ćete je prevesti. Bez obzira da li ste potpuni početnik u Linuxu ili prelazite na SUSE Linux sa druge distribucije, saznaćete puno korisnih informacija u opuštenijem stilu od onog na koji ste navikli u računarskim knjigama. 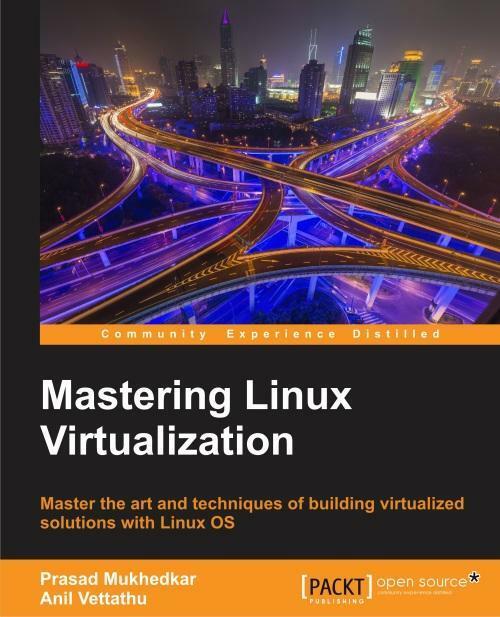 If you’re a minimum of advanced novice or intermediate level administrator in Linux, with reasonable knowledge level and understanding of core elements and applications, then this book is for you.